Our SEO content writing course shows you how to produce content that achieves a high ranking on the most popular internet search engines. A good SEO ranking in an online search is a crucial factor in achieving success on the web. One of the most effective ways to get a good ranking is through well-written SEO focused articles. 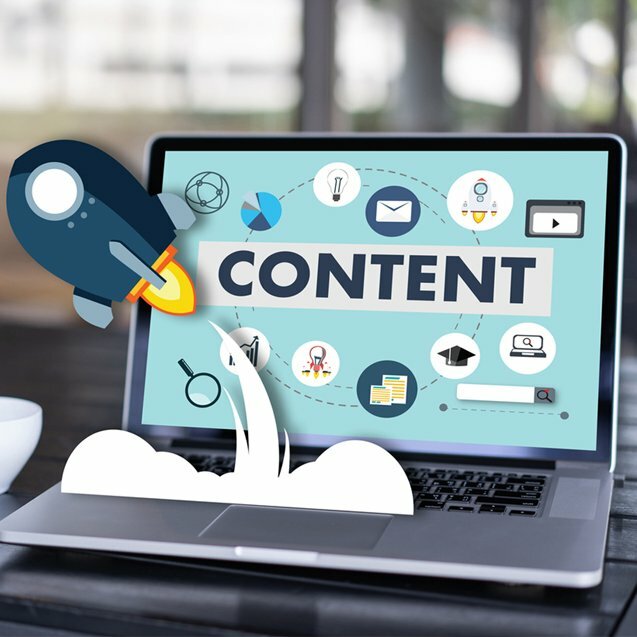 Our online SEO content writing course teaches you how to write great web content - and ensure it is seen by the widest possible online audience. Companies and organisations of all sizes. Successful graduate Clare Robertson thought the course was informative, easy to follow and well structured. Our online SEO content writing course covers all these areas, and also teaches you to produce optimised content for all websites, blogs, social media, videos and images. Successful graduate, Chris Sparham, told us: "The course met my expectations and more. 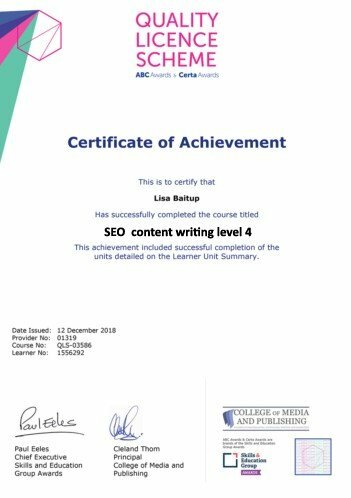 I can now confidently write SEO content, and have gained a lot of knowledge about webwriting. I learned about webwriting techniques, ideas for articles, where to upload articles, and how to source keywords". You will study in our Online Learning Area, which is accessible from a computer or a mobile app. This means the course is flexible, and gives you the chance to tackle practical, real-world content writing tasks at home, at work or on the go. Delivering high-quality SEO focused content for a business or an organisation. Building your own SEO content writing agency, and choosing your own hours, clients and projects. Earning up to £28,000 a year, or up to £30 an hour as a freelancer. If you enjoy writing, then becoming an SEO content writer is a great way to earn good money and express your creativity. This course covers every aspect of SEO content writing. Each lesson includes a practical assignment which is based on the real world of SEO content writing. All assignments are personally marked and graded by your tutor, so you’ll be receiving expert feedback at each stage of the course. Clarify what SEO content is. Identify what SEO content is intended to achieve. Understand the importance of well-written content. Pinpoint the different types of content and their purpose. Describe what SEO is and explain how search engines work. Discuss the importance of keywords in SEO. Explain how to use links in content. Explain the importance of understanding your audience and purpose. Understand and implement webwriting techniques. Write SEO web content with keywords and hyperlinks. Understand how images and video can boost your SEO content writing activity. List the different types of web content. Discuss the basics of writing magazine and news content. Explain how social media is useful for businesses. Discuss social media as a way of interacting and engaging. Describe the main social media platforms. Define the basic rules for writing SEO content for blogs. Discuss how to get your blog noticed. Select ways to start finding SEO content writing work. Explain how to negotiate fees and tie up details of writing jobs.